The Casablanca Nights gala is on Thursday, Aug. 17, and features food, wine and music from four accomplished operatic and Broadway singers and instrumentalists. The sixth annual Casablanca Nights gala benefiting the Edwards Interfaith Chapel and Community Center will be held Thursday at 6 p.m. 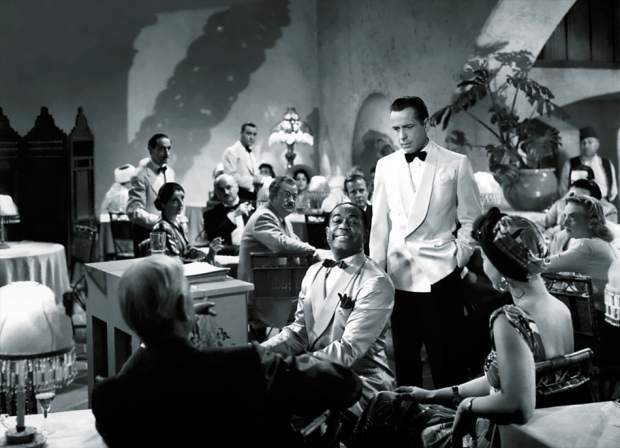 The Casablanca-themed evening brings together food, wine and music from the stage as well as a screening is planned. As you enter the Edwards Interfaith Chapel, you will be transported back in time to Rick’s Cafe where you will spend the evening enjoying performances by four accomplished operatic and Broadway singers and instrumentalists: Jessica Medoff, soprano; Michael Bunchman, pianist; baritone Gregory Gerbrandt; Leah Edwards Pittas, soprano; and Donald Groves, tenor. The four will once again perform a combination of classic arias, as well as selections from popular musicals. Medoff returns for her fourth year with the Casablanca Nights gala as artistic director. She is praised as a performer who “skillfully employs her trademark vocal versatility to wring every drop of emotion out.” (Harold Journal). Bunchman is a collaborative pianist and chamber musician with both singers and instrumentalists throughout the United States. He is currently on faculty at University of Southern Mississippi as the director of collaborative piano program. Groves is an American tenor, known for the rich quality of his voice, combined with a stellar acting ability. Some of Groves’ favorite performances include Jean Valjean and Javert in “Les Miserables” and Mr. Snow in “Carousel.” He will soon be performing in “The Man of La Mancha” with Arizona Broadway Theatre in Phoenix, Arizona. Gerbrandt, baritone, is new to the ensemble this year. He has created the lead baritone in four world premiers. Gerbrandt is a rising star in both opera and musical theater, bringing a dynamic blend of vocal ability and stage prowess. Chef David Walford will once again provide the food this year to Casablanca Nights with exotic Moroccan flavors, featuring carrot-tahini with Egyptian flatbread, Moroccan spiced roast chickpeas, briouats bil jben, purslane and herb salad, chicken tagine with olives and preserved lemon couscous with apricots. The evening’s fare will finish with a date cake with orange-blossom syrup and fresh cream and oranges. Superb wines will accompany this exquisite meal. “The annual Nights gala raises a significant portion of the community center’s operating costs. This event and the generosity of those attending allows us to provide a home for over 30 local nonprofit organizations,” said Bob Egan, president of the Eagle Valley Religious Foundation. A live auction is also planned for the evening. Individual tickets and sponsorship opportunities are available. For more information and to purchase tickets to Casablanca Nights, contact Jill Chalfant at 970-376-5320 or email Jill.eic@gmail.com.